Bernard Lightman is Professor of Humanities at York University, Toronto, Canada. He is a Fellow of the Royal Society of Canada, former Editor of the journal Isis, and Vice-Presdent and President Elect of the History of Science Society. Professor Lightman has published over 50 articles and is the author of The Origins of Agnosticism (1987) and Victorian Popularizers of Science (2007). He is also editor or co-editor of several collections: Victorian Science in Context (1997), Science in the Marketplace (2007), and Victorian Scientific Naturalism (2014). In addition, he is the series editor of Science and Culture in the Nineteeth Century. "Bernard Lightman has assembled a superb roster of many of the leading figures in their respective specialisms. [The] Companion is organized around analytical catagories...[which] enables [it] to address current issues such as identity, practice, the movement of knowledge, and material culture from a number of different perspectives that, helpfully, are often mutually illuminating. 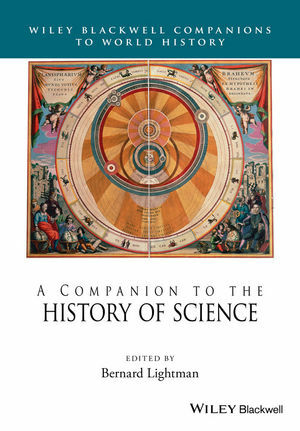 Although the individual chapters...are uniformly excellent, the Companion to the History of Science, when read as a whole or even section by section, really is more than the sum of its parts." - British Journal for the History of Science.